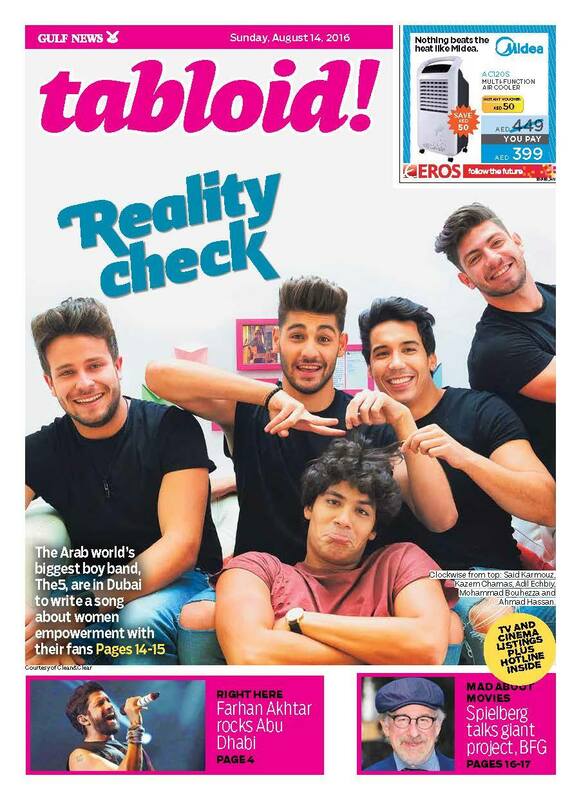 Last week, The5 were in Dubai as part of the Clean & Clear #SeeTheRealMe initiative which circles around empowering young girls across the region and giving them a chance to voice out their talents. The5 spent a week with the winners of Clean & Clear’s lyric writing competition, #Write4The5 that was launched earlier this year. 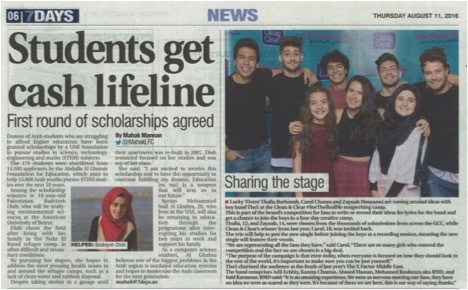 Winners, 14-year-old Zaynab and 12-year-old Thalia were given the chance to collaborate with The5 to write their new single. “We just want all our fans and everyone in the Middle East to not be scared or be afraid. If you have talent, if you have anything to show to the people, you have to do it. Don’t be afraid, don’t be shy, just do it,” said band member, Ahmed.